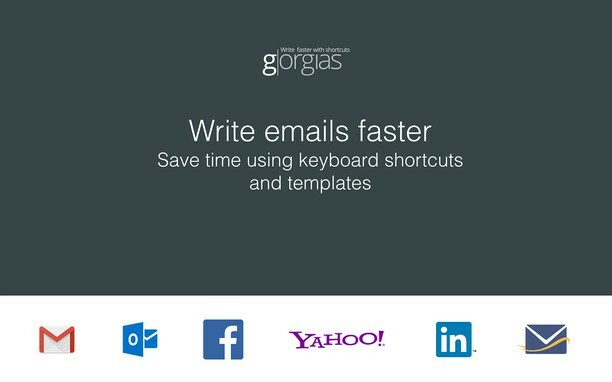 Gorgias enables you to save time writing emails by creating your own snippets and templates. Try it now and start writing your emails faster! You’re always ending your emails with “Kind regards, Ken”? With keyboard completion, you can type kr+TAB and get the same result! You find yourself writing repetitive pieces of text in your emails? Make it a template! 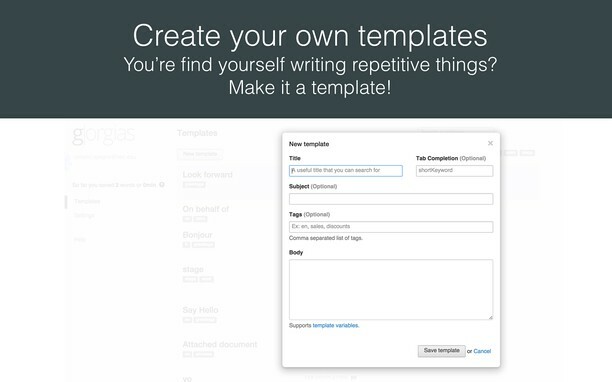 Gorgias enables you to create your own templates and shortcuts. So if you write the same content over and over, you now can use a shortcut for it and answer an email within seconds. Communication is collaborative by definition. Gorgias enables you to share templates with your team so when the template changes, everyone is still on the same page. You don’t want to remember your shortcuts? 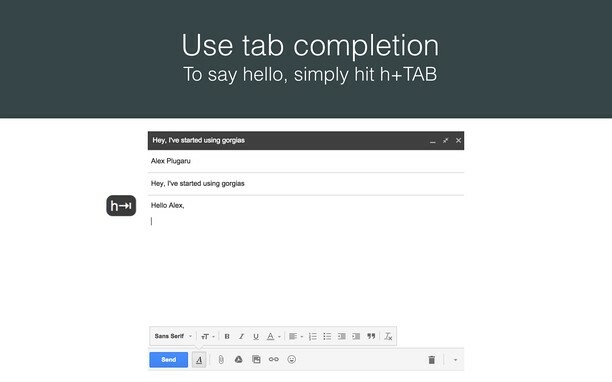 Search and insert templates right inside the Compose box. Note: The above websites have been tested and they support template variables, but the extension should work on any website, give it a try! This is really useful and saves time! This addon works just great.